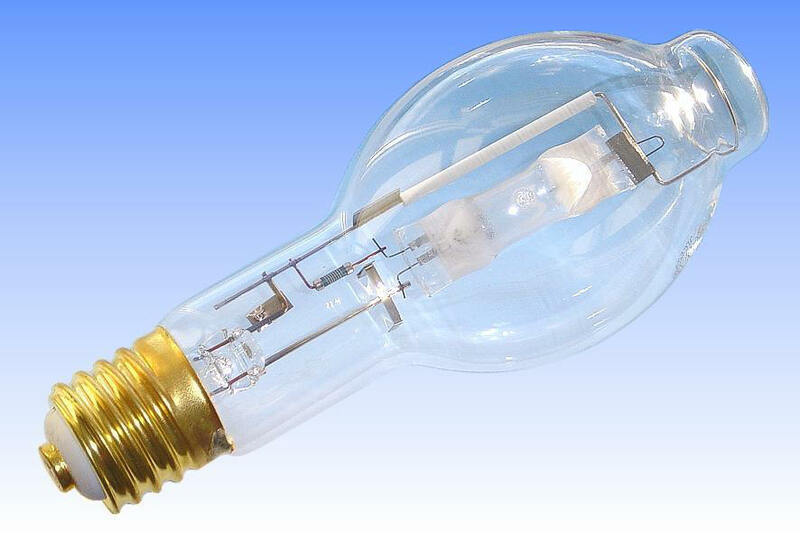 Coloured metal halide lamps have grown significantly in popularity in recent years. 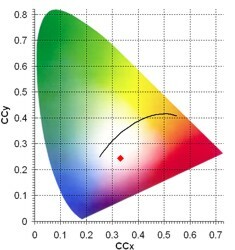 However not all colours can be successfully generated. Some colours appear somewhat weak and washed out, and lack saturation. 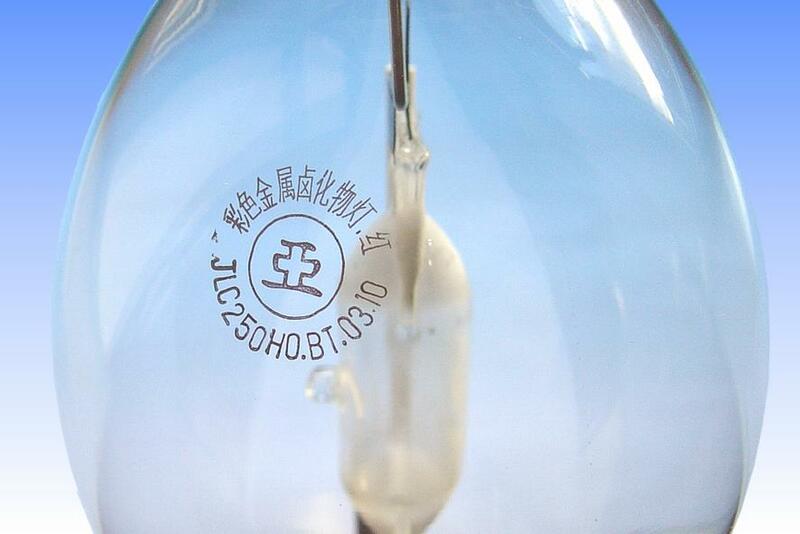 The success of the various colours is depending on the availability of suitable metal halide salts that are able to efficiently radiate the wavelengths of interest. Blue and green coloured lamps are the most successful, and have been widely available since the 1970s. A strong green colouration may be attained from a thallium iodide lamp, which has high luminous efficacy on account of its radiation being near to the peak sensitivity of the human eye. A saturated blue coloured lamp can be attained quite easily with a dosage of indium bromide in the arc tube. Orange lamps are also easy to produce when a sodium iodide filling is employed. However the light colour is substantially the same as from a high pressure sodium lamp, thus they are generally offered only in compact lamps where a high pressure sodium alternative is not available. The colour can be shifted to lemon yellow with sodium+thallium. Red coloured lamps have, to date, not been successfully made - there are few elements suitable for lamps that radiate the longer wavelengths needed for a red lamp. The closest that is available is a pale magenta colour, attained with a lithium, sodium and indium dose. 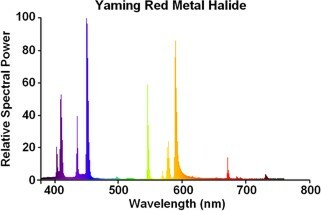 However YaMing in China boldly marketed a Red coloured lamp a few years ago, based on the above chemistry. In fact after testing, its red saturation is found to be inferior to the European magenta lamps. It is no longer available for obvious reasons. 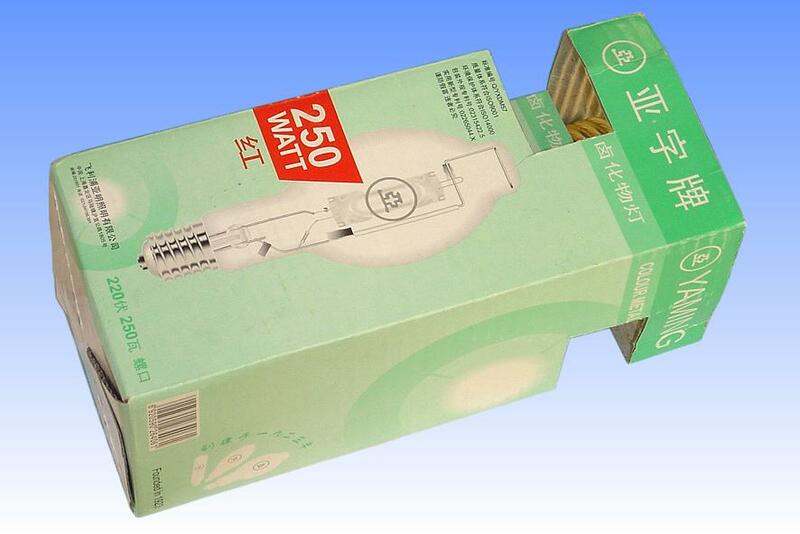 Manufacturer: Shanghai Yaming Lighting Co. Ltd.
References: 1) Philips & Yaming Chinese Catalogue 2003.